Every year at this time, travel companies like us go crazy for broadcasting travel trend predictions in the hope of luring a fresh batch of customers through our digital shop fronts. This year, much like the preceding few since the recession, is said to be the year of the staycation. 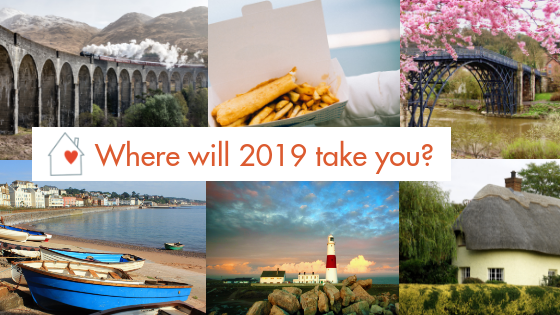 The question on everyone’s lips then must surely be: where to holiday in the UK in 2019? Do you remember promising the kids to stay in a yurt. You know, that time when they were rambling on and you were trying to get dinner on the table and you just said yes to cull the nagging? No? Ah. It may well have been forgotten in the haze of collecting stray peas from the floor and ketchup from their cheeks. Not to worry, take your pick from our awesome collection of quirky holiday cottages. It’s a myth that Sir Edmund Hillary was British. Sorry guys, he was a Kiwi. But he did train for his great Everest expedition on British soil. Mount Snowdon was good enough for him and whatever your ambitions, it’ll do for you to (trust us). Reward your efforts with a comfy night’s sleep in one of our Snowdonia holiday cottages. It’s been said and proven time and again. Booking a large holiday home for group getaways might look spiky on the headline price but often works out cheaper per person. Whether you fancy a stay in a castle or are looking for group accommodation for a family celebration or get together, we’ve got options across the UK. Gather family, gather friends and book one of our large holiday rentals to celebrate 2019. There’s a stretch of the North Norfolk coastline, between Happisburgh and West Runton where a series of significant ‘firsts’ have been discovered. The world’s largest and most complete skeleton of a mammal was discovered here. As were a flint axe more than half a million years old. Plus what are thought to be the first footsteps of man on British land have been discovered in these parts. Why not create your own first this year and book one of our gorgeous North Norfolk holiday cottages. What luxury means from one person to the next is highly subjective, we know. For some it’ll be a beachfront cottage. To others it’ll be all about size. Another will be expecting amazing interiors or unique architecture. And someone else will be on the hunt for one-of-a-kind finishing touches. We won’t over promise. Instead we’ve gathered this petite selection of luxury UK holiday cottages to get you started. There are so many places to stay with dogs in the UK these days. That’s half the joy of opting for a domestic holiday if you’re a pet owner. Dog walks abound whether you opt for the ups and downs of the Lake District, the moorland and dales of Yorkshire, mountains of Wales or the challenges of the coastal path anywhere around the UK. Choosing where to holiday in the UK with dogs is made so much easier thanks to our brimful collection of pet friendly holiday cottages. If summer 2019 turns out to be as much of a scorcher as 2018, demand for UK holiday homes with pools will sky rocket. To be on the safe side of guaranteed swims without the freeze factor once you get out, best to opt for a holiday rental with indoor pool. But if you’re a glass half full kinda person, it’s got to be an outdoor. Don’t hedge your bets for too long. Our holiday cottages with swimming pools are selling fast! And now over to you. 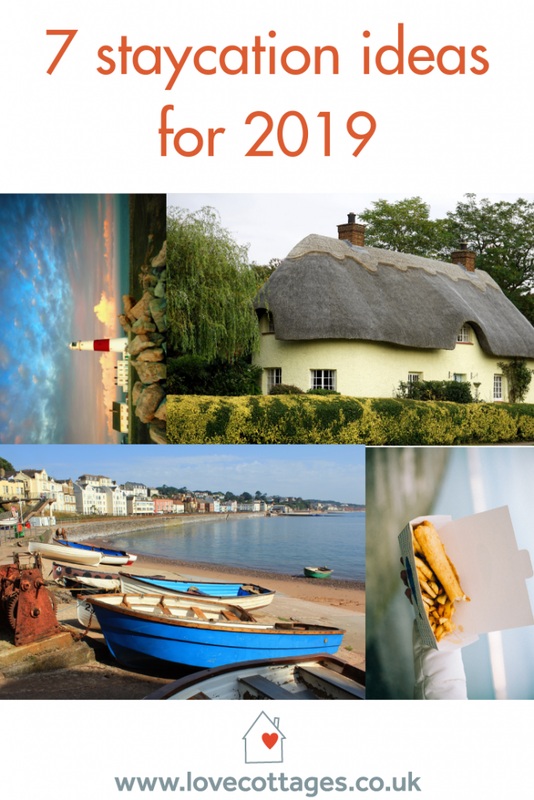 Be it Cornwall’s coves, Kent’s castles or Dorset’s dinosaurs that spur a holiday in the UK, we’ve got more than 10,000 personally inspected holiday rentals to be part of your holiday memories.